Though the World Series is now over with the Boston Red Sox having clinched the title yesterday, one Red Sox fan is not quite as happy as he could've been. 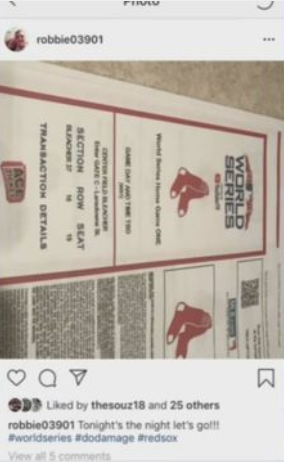 Robbie Johnson, a 28-year-old Red Sox fan arrived at Fenway Park in Boston for Game 2 of the series with his sister, only to find that his ticket didn't work. After visiting guest services, it was revealed that his ticket had already been used. He posted the photo above to his Instagram account a few hours earlier. 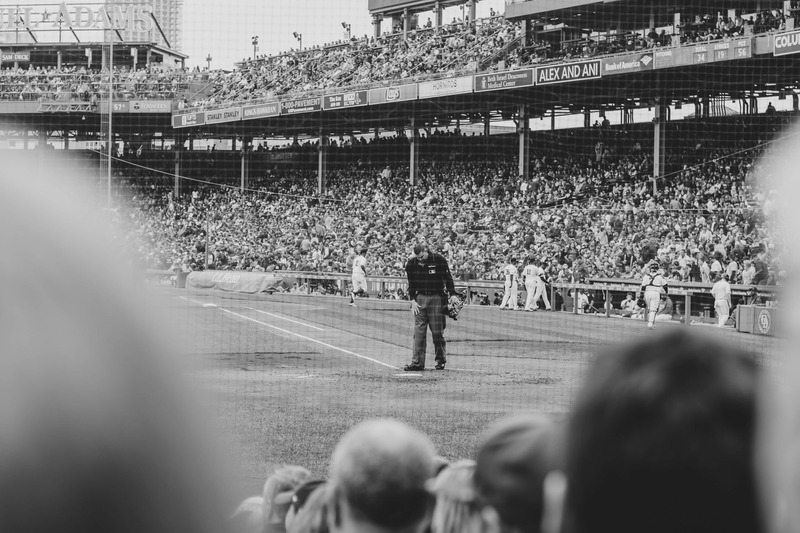 It was a tough lesson to learn, for sure, especially given that Johnson had to pay $450 for another ticket just to get into the game he'd already paid $650 to get into. Yikes! The moral of the story? Don't post photos of your big game tickets on social media. At least Johnson can say he got to see a Red Sox victory in person in Game 2!